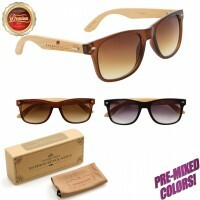 Popular Wood Sunglasses, customized with your brand, logo or personal message! This model includes several flash mirror lens colors, and has a trendy fashion frame design; with hand-sanded premium bamboo temples! We have several styles of customized wood sunglasses available now, and each 12 pc unit includes complimentary folding boxes & white microfiber bags for each pair! PrintSunglasses.com also provides absolutely FREE artwork creation too! 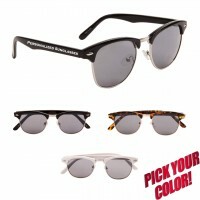 Your personal print assistant will ensure that your customized sunglasses are exactly what you have in mind! Below is an illustration of available print area for Customized Wood Sunglasses. 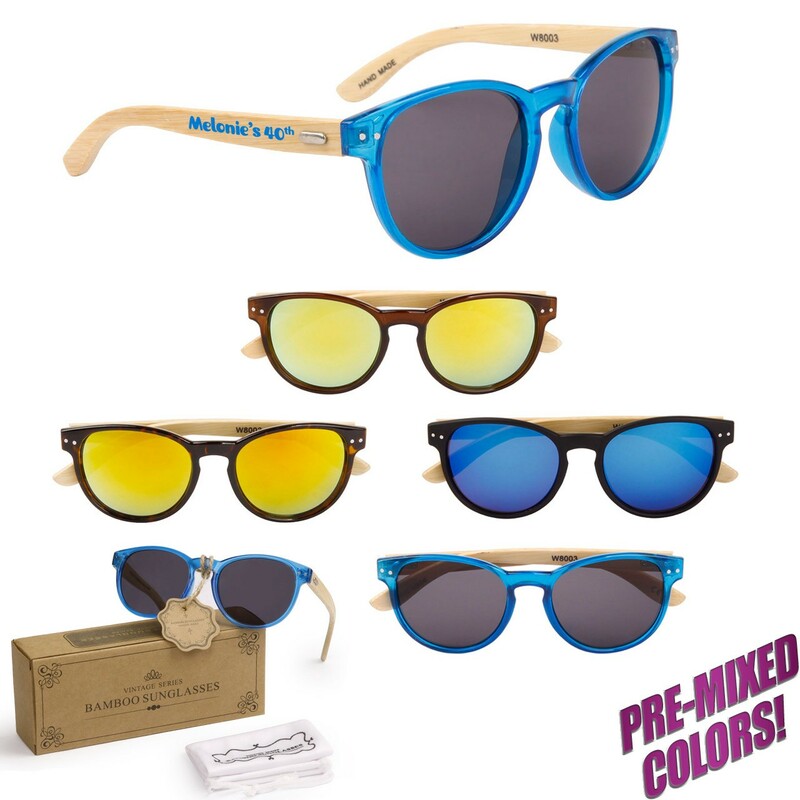 Assorted colors included in Customized Wood Sunglasses WP8003. Sold in 12 piece units, shown below is an estimated quantity of frame colors included.